Following a surprisingly Twin Peaks-heavy sizzle reel (unless there’s a renewal we haven’t heard about), Showtime president David Nevins announced the premiere dates for three of the cable network’s returning dramas at the TCA winter press tour this afternoon. 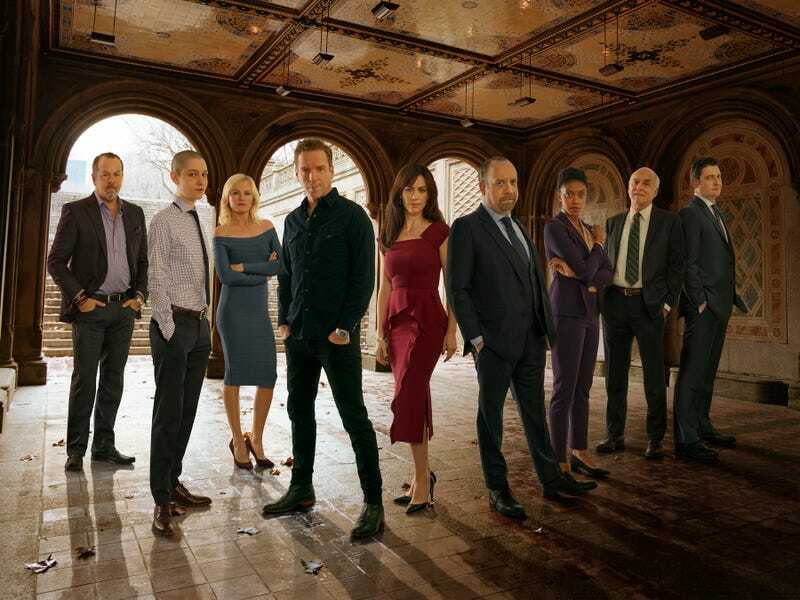 First up is the Paul Giamatti and Damian Lewis-led Billions, which will premiere its third season on March 25, when viewers can drop in on the next stage of the ongoing fight for power and money. Season two of the period drama I’m Dying Up Here is set for May 6, which Nevins implored TV critics to give another chance after an underwhelming debut in 2017. The series, which stars Melissa Leo has a hardbitten but nurturing comedy club owner in the ’70s, has undergone some retooling, apparently, though the network president didn’t get into particulars. Despite being a period piece, I’m Dying Up Here will reportedly tell more timely stories in its second season, so look for that this spring. Finally, The Affair will be back on June 17, when we’ll continue to survey the emotional damage caused by the eponymous infidelity among series leads Dominic West, Maura Tierney, Ruth Wilson, and Joshua Jackson.